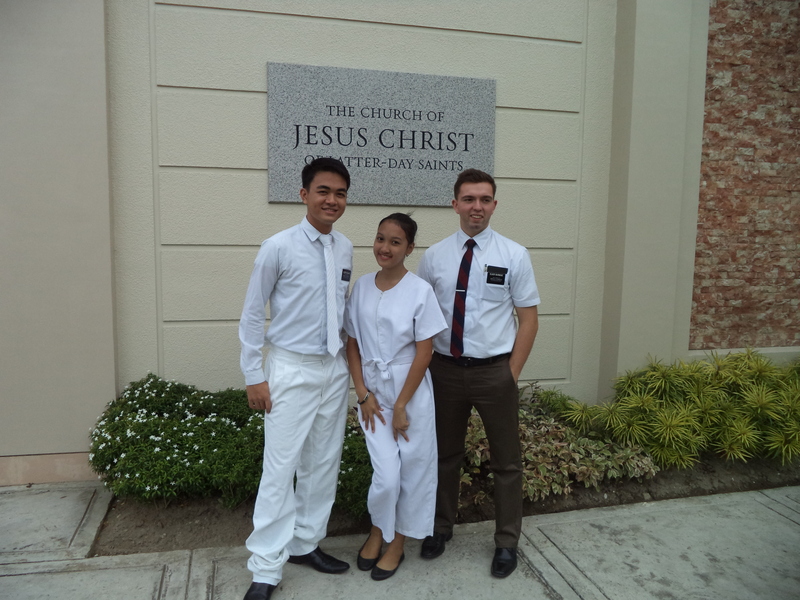 The exciting news from this week is the baptism of Sister Angel Constantino who is 16 years old! we only taught her for about five weeks, but she is way smart about the gospel and stuff! She loves Christ and was ready for baptism a long time ago before we even started teaching her. She’s the referral of an awesome family, the Vidal family who are some of the happiest people I know. They’ve got these two dogs that she yells at in English. It’s pretty funny. Sister Vidal is a way good cook too.She makes us fried chicken, burgers, mango jello ice cream stuff, ube (purple sweet potato) goo, adobo, among other tasty things. they’re really caring about the missionaries and stuff too! Hunter wrote me an email about his being sick – he told me all about the details, which I won’t share here!! I almost died laughing when I read his email. I don’t know where he got his sense of humor, but I die laughing in every email from him! The other news of this last week is that I have been assigned to be a trainer for a new missionary when the next transfers happen next week, so that is both exciting and a bit scary. At times I feel unqualified for this work and like I should have prepared more, but I know I have been called and set apart to do it so I will keep working hard and I’m sure it will all work out. I’m concerned my new companion won’t speak any English so I hope we will be able to communicate!!! Well, that’s about it for now. I love you all back home and miss you but am happy where I am at and what I am doing! Keep reading your scriptures and saying your prayers. Heavenly Father loves you and all of his children!